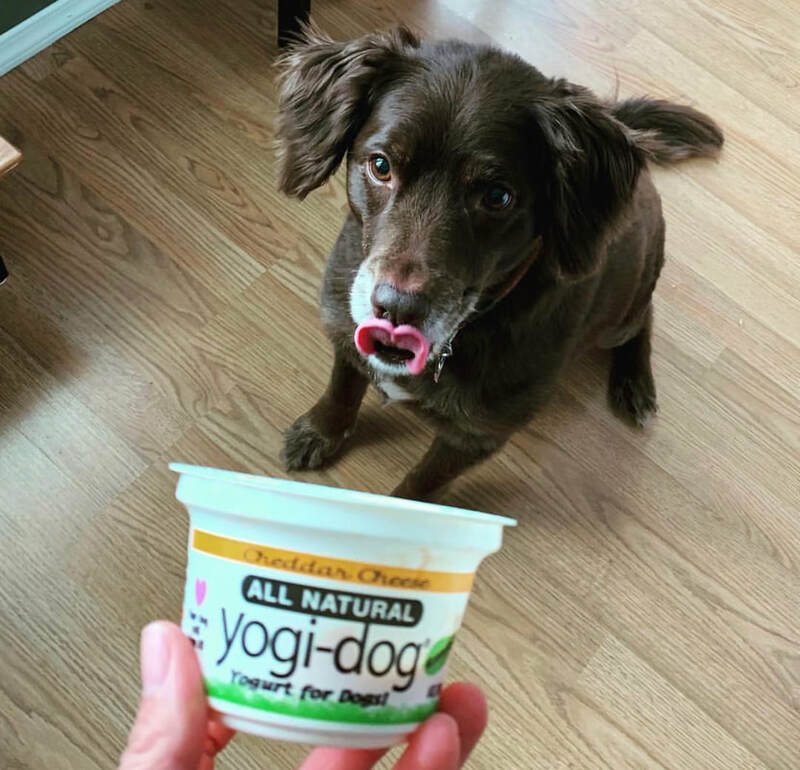 Our Story - Yogi-Dog: Yogurt for Dogs! 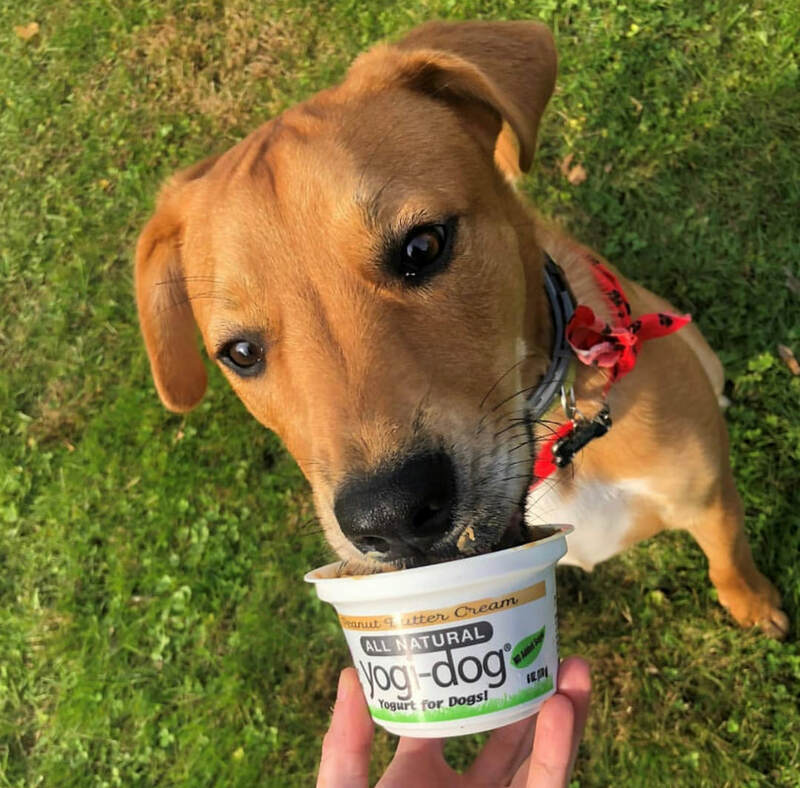 ​Created by a dog lover and a multi-generational yogurt maker, yogi-dog is the healthiest new treat for dogs to hit the shelves! You’ll find us at your local grocery store in the dairy department with the human yogurt and in some stores, the pet aisle refrigerator. ​Just like you, we consider our pups one of the family. And family deserves only the highest quality and healthiest ingredients. Here at yogi-dog we follow the Golden Retriever Rule with a healthy addition, “Feed your dogs with the healthiest treats you can provide to them!" We used this as our inspiration for creating the dog-world’s first ever yogurt. Our yogi ingredients ensure a 5 PAW review! Even humans can enjoy a cup with their pup, give it a try! Yogi-dog is available in three pawsome flavors; Original, Peanut Butter Cream and Cheddar Cheese. New Jersey, Connecticut, Massachusetts, New Hampshire, Maine, Vermont, Rhode Island and we continue to grow each and every day just keep an eye on our ever-growing map of new locations. There’s a brand new healthy dog treat tails are wagging for everyday! Yogi-dog is the original yogurt for dogs! YES, you read that right; dogs just got their own yogurt! Made with a dog’s health and happiness in mind, yogi-dog is one of the most nutritious and innovative dog treats to come along in years! 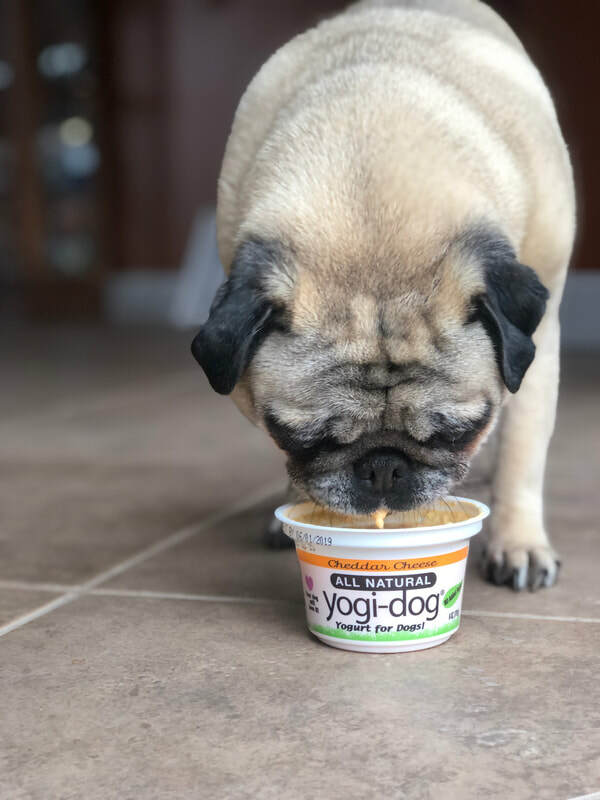 When our yogi-dog family first began our journey, the main goal was to create a yummy, healthy yogurt treat that dogs would beg for. You’ll find nothing artificial in our yogi-dog yogurt! Not only is it beneficial for your pup’s digestion, but it is also human-grade because we know you consider your dog a part of the family, so why not feed them like one? First, we start with 1% low fat and high quality milk that we purchase from our local family owned Lancaster cows right here in central Pennsylvania. Zero sugar is added, as sugar is never a healthy ingredient for a dog to eat. As an added precaution, we make yogi-dog lactose free just in case your canine might be lactose intolerant. Next, we add 8 live and active cultures, which is almost twice what most human yogurts on the grocery shelves offer. But wait... there’s more! We didn’t stop there. We took an extra walk around the dog park and added probiotics to give that extra boost for a dog’s daily digestive health. And just as important, it’s ALL NATURAL.